Is there a better alternative to Ancient SuDoKu? Is Ancient SuDoKu really the best app in Puzzle category? Will Ancient SuDoKu work good on macOS 10.13.4? The creators of Ancient Tripeaks and Ancient Tri-Jong deliver a wildly addictive version of one of the world's most popular logic puzzles. With endless levels and multiple puzzle types, this fantastic version is the next step in puzzling fun. 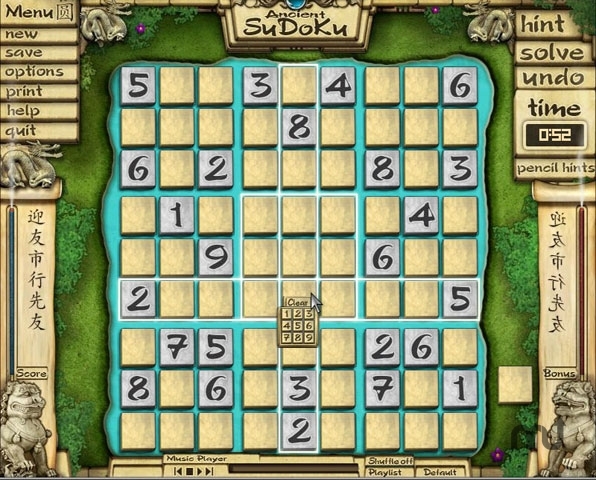 Plus, there's even an easy-to-use puzzle creator that will not only help you complete other versions of SoDoKu, such as those that come in your local newspaper, but allows you to create your own puzzles to share with friends and family. Don't miss out on this popular puzzler. Ancient SuDoKu needs a rating. Be the first to rate this app and get the discussion started!